A common dairy antique and still used by many small farmers are milk cans. They are made of galvanized metal, stainless steel or aluminum, and can be repurposed for a variety of things. 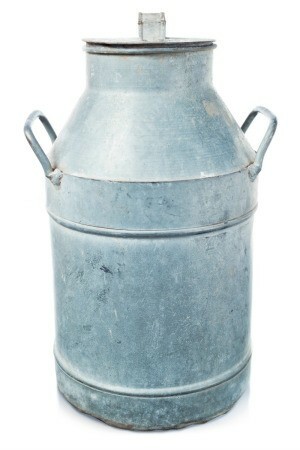 This is a guide about uses for old milk cans. We used an old milk can for a letter box, which is often done, but for individuality, we painted it pink. Very good idea, good luck. Cool, looks purple to me-not pink. I love it.